Another ingenious design from the Fiat Automobile Company, the Fiat 124 Sport Spider was launched during the mid-60’s. The cabriolet type sedan was heavily exported to the US from Italy up until 1985 when the last few models were produced. It was in November of 1966 during the Turin Auto Show has when the Fiat 124 Sport Spider was introduced to the automotive consumers for the first time. It had a predecessor, the Fiat 124 Sedan which shared a lot in common with the Sport Spider. Even the chassis and the mechanical gears were somewhat identical for the two Fiat Models. The main difference being the wheelbase of the Fiat 124 Sport Spider was shorter than its predecessor. Although the Fiat 124 Model was designed by the Fiat Automobile Company, the Fiat 124 Sport Spider design was not originally from Fiat. The Italian carozerria called Pininfarina was the group responsible for coming up with the newer, more sporty design of the Fiat 124 Sport Spider. The design proved to be a hit as the joint production efforts of the two companies is considered the most successful during that period. The Fiat 124 Sport Spider housed an engine with the double overhead cam design. The double overhead engine design was one of the most efficient at that time. Only the engine displacement of the Fiat 124 Sport Spider was altered from the smaller 1438cc engine released in the late 60’s up to the 1995cc engine used for the late 70’s model of the Spider. But it was in 1980 when the carburetors were replaced with a more efficient fuel injection system. In 1980 the outdated carburetors were replaced by the new injector system. One of the most famous models making use of the fuel injection system was called the Volumex. Although quite rare in number, these Fiat 124 Sport Spider models proved their worth where it stayed in production for more than five years. It even stayed in circulation until the early 90’s. With the Volumex, was able to receive an engine design award where it was recognized for continuously producing a single engine model which remained in demand for the longest period of time. The said design is now more commonly known as the DOHC-type engine which only stands for the dual overhead cam. It makes use of rubber timing belts which has proven to be widely accepted all throughout the automotive industry. Today these rubber timing belts are still widely used for contemporary automobiles. 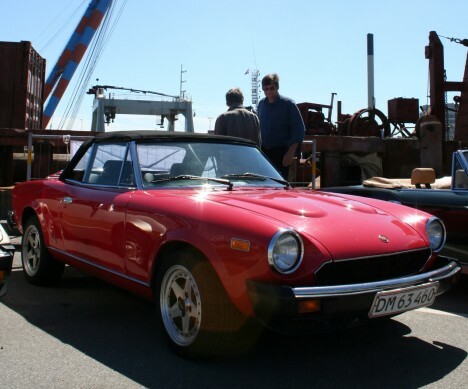 In some Fiat 124 Sport Spider models the superchargers were also used and one such model was the Volumex. These models are the rare ones. Aurelio Lampredi, who is Ferrari’s ex-chief engineer, designed these engines. This design remained into production in Fiat Company till 1990. It set a record of being the engine, which remained into production for the longest time n history. The Dual Overhead Cam or the DOHC as it is commonly known, comprised of timing belts made of rubber. It was a well and widely received innovation which brought the rubber belts into the lime light and till now these are the most commonly used belts in the auto industry.